The Prescott pendant by Tech Lighting is reminiscent of a classic tulip with its elegantly curved silhouette. This sophisticated pendant is handcrafted by highly skilled Polish artisans. The Prescott is available in three modern colors, including the beautiful and popular Surf Green and features two on-trend finishes. 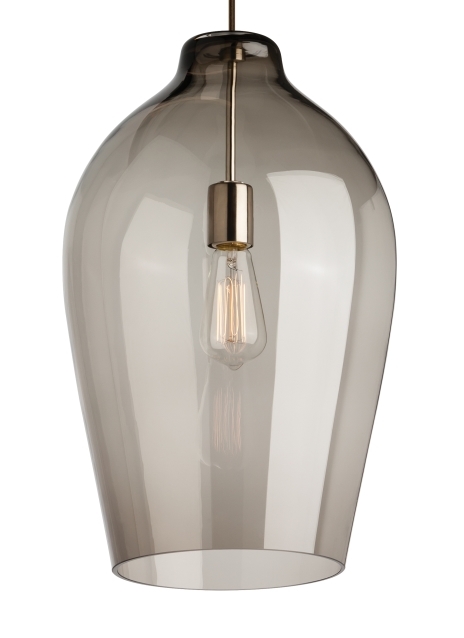 This large scale pendant is ideal for dining room lighting, home office lighting and kitchen island task lighting. Available lamping options include energy efficient LED or no-lamp, leaving you the option to light this fixture with your preferred lamping, the LED lamping option is fully dimmable to create the desired ambiance in your special space.